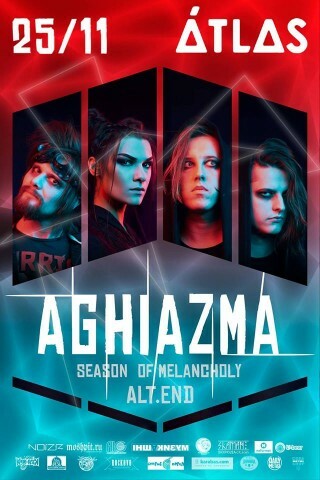 The Ukrainian gothic band Aghiazma will present "Plus Ultra" album on November 25 at the Atlas Club in Kyiv. Above, you can check out the LP’s single "Selfish Universe", recorded with the band’s new singer Elvira Gasratova. The concert at Atlas will feature special guests — bands Alt.End and Season of Melancholy.